Looking for deeper insight on markets? 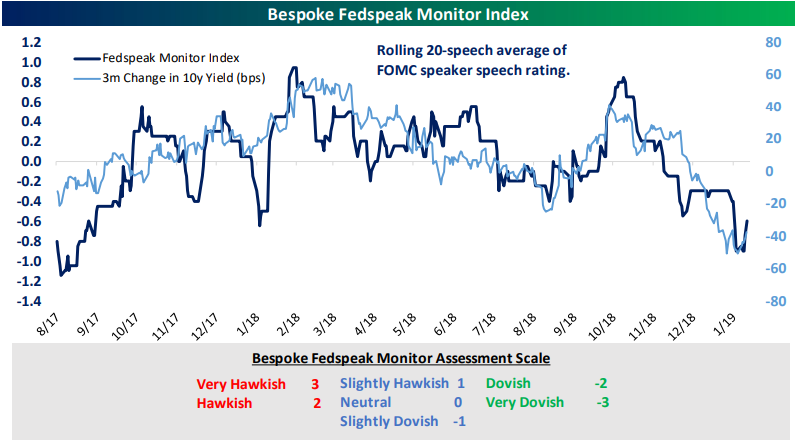 In tonight’s Closer sent to Bespoke Institutional clients, as the FOMC takes a much more dovish tone with today’s rate decision, we take an in depth look at the significance of not only the language used by the Fed, but also the implications of this much more dovish commentary. We continue to discuss the impact of the Fed’s intended direction in regards to the balance sheet and what this could possibly mean for the economy. Next, we cover the dramatic reaction to the FOMC across asset classes. We finish tonight’s Closer by delving into the latest petroleum data from the EIA.